Right?! I can’t be the only one who goes through this. Make me feel normal please. Now we all know that you can’t just eat the same thing over and over again for weeks. BECAUSE RYAN…it’s important to change up your food choices with every meal, to ensure you’re getting all the essential nutrients your body needs. We learn something new every day, people. But nonetheless, food phases can happen, and I’m currently on the tail end of my food phase/love affair with carrots. (Next up, spaghetti squash, but that’s all whole new blog post). Back to carrots. 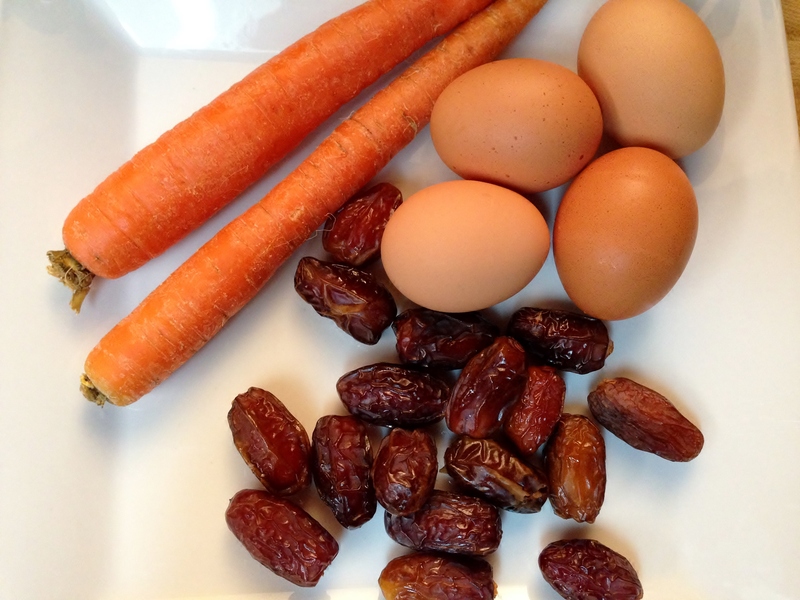 These sweet, crunchy little spears of deliciousness are high in Vitamin A, which is crucial for good vision. Coincidentally, I’ve been struggling with my eyesight lately so maybe my body is onto something by wanting to load up on these 24/7. I’m on a mission to fight those tired eyes! I’ve been enjoying my carrots almost every day in whatever way I can fit them in. My favorite way to cook them is by cutting 3 or 4 large carrots into long strips, drenching them in coconut oil and sea salt, and roasting for 20 minutes at 375°(F). BAM. Pair with a protein and a super green salad and my taste buds (and eyes!) are feeling good. P.S. that would totally work on me. Just saying. As one can expect, this whole carrot thing leads to a story AND a recipe. I was visiting my grandmother in the hospital a while back, and she was quite pleased with the hospital staff for serving her carrot cake with her dinners – one of her favorite desserts. 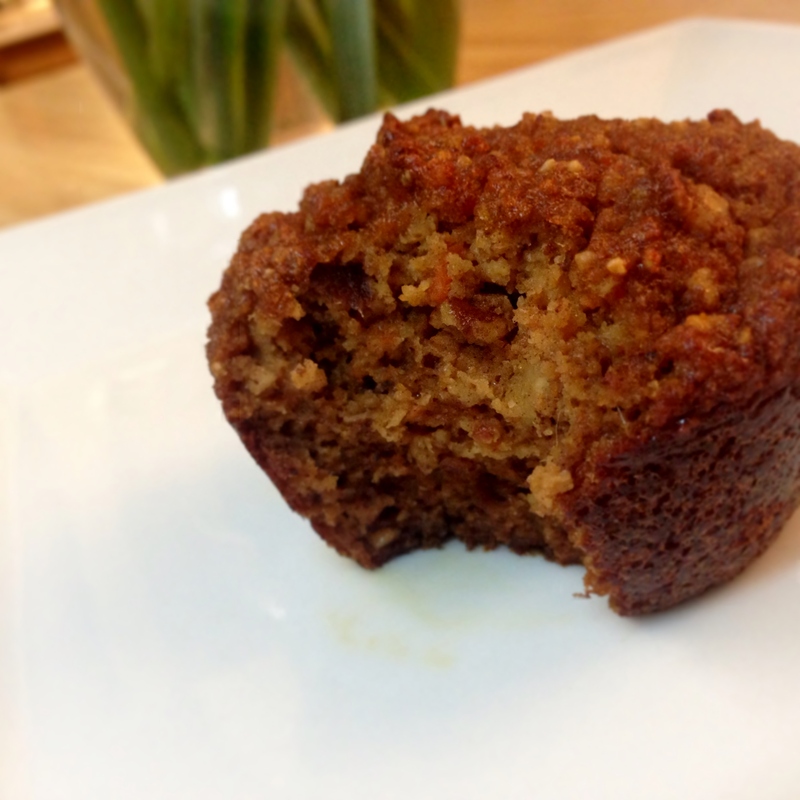 Immediately, the wheels started turning in my head and I left the hospital that night dreaming up concoctions for a healthier carrot treat without all the gluten, dairy and sugar that your standard carrot cake would come with. 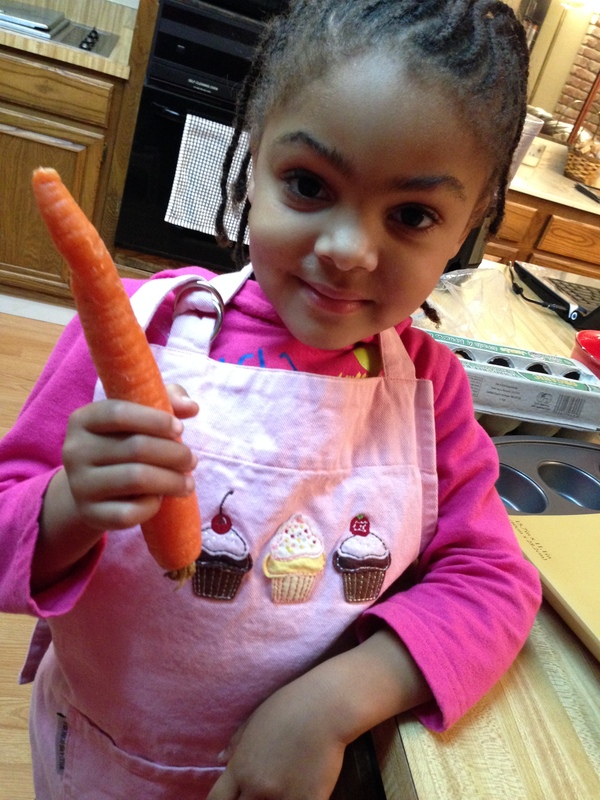 With the help of my favorite little bakers – my nieces, Harmony and Destiny – I came up with this fabulous carrot spice muffin that is to die for! So this one grandma, is for you. I love you dearly! 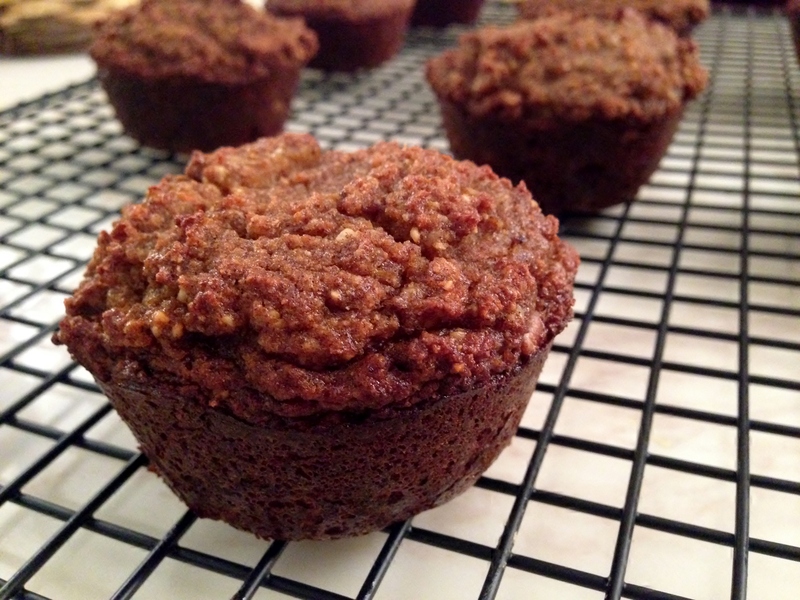 1 muffin pan (This recipe was made using a regular size muffin pan, but a mini muffin pan can be used with an adjusted cooking time). Preheat your oven to 375°(F). While the oven is preheating, start by chopping the two carrots into smaller pieces and put aside in the food processor. 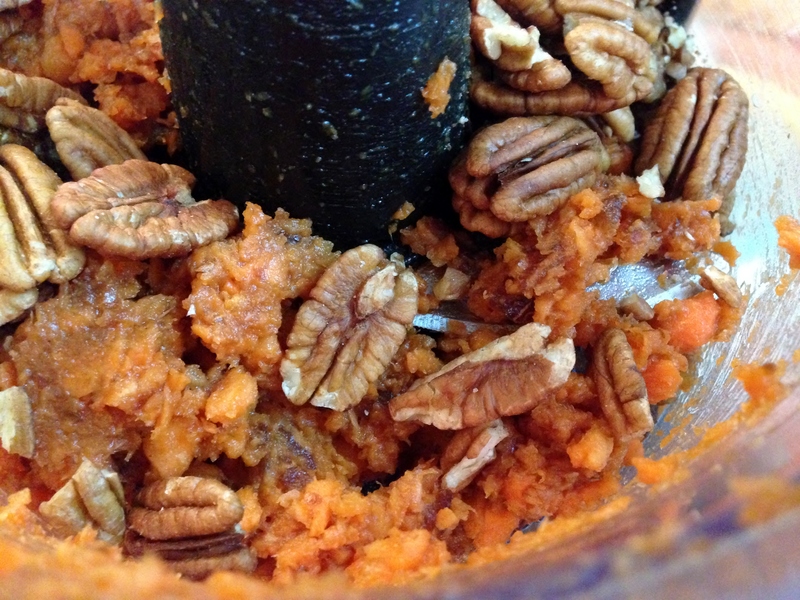 Remove the pits from the dates and add those to the carrot pieces in the food processor. Turn the processor on high until you have a well processed carrot and date dough. Add the pecans and pulse for about 20 seconds to give those bad boys a chance to break down into small pieces. 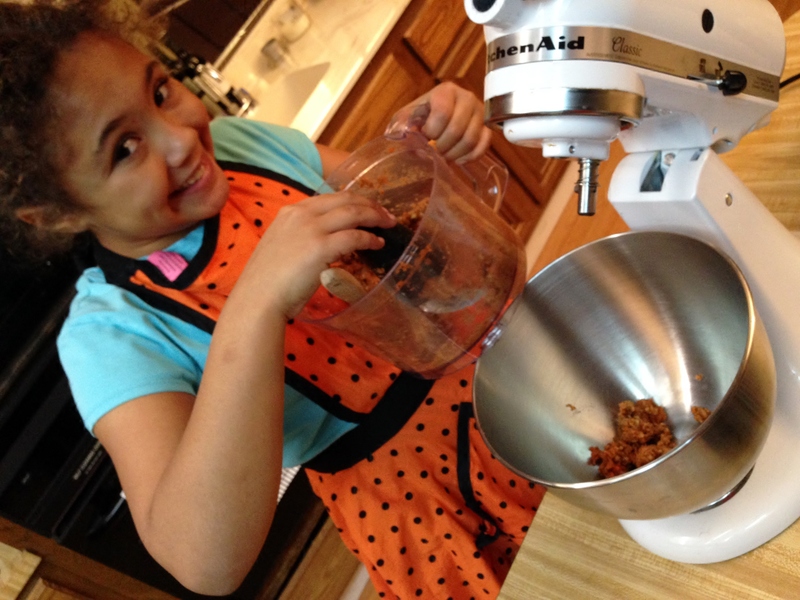 Transfer the carrot/date/pecan dough into the mixer, like my niece Harmony did below (aren’t little helpers the best?) and add all the wet ingredients. Mix on a medium speed until the mixture is well combined. Add the dry ingredients to the wet ingredients and continue to mix until it’s completely blended. The dough should be slightly thick and chunky. Go ahead and taste test that good stuff – you won’t be disappointed (just remember to save some for the oven, yeah?). 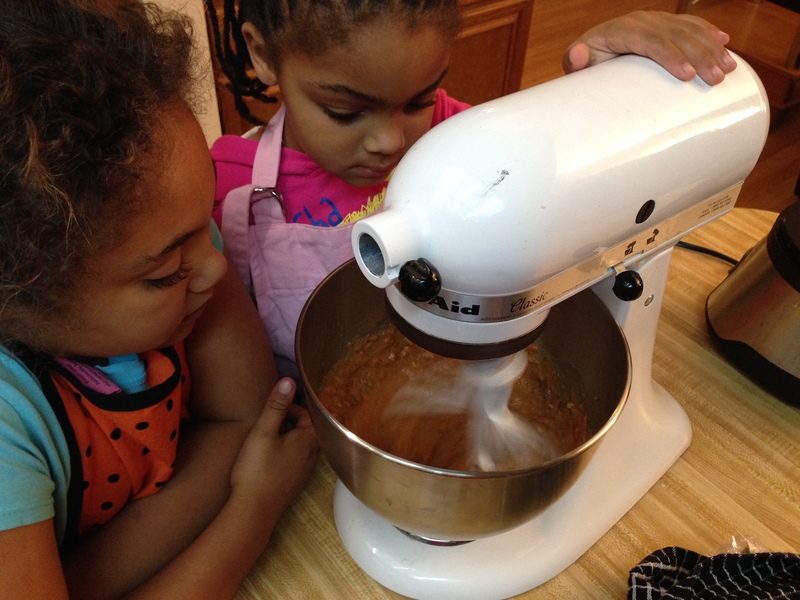 The girls were totally enthralled by the mixer. Until Destiny tripped over the cord and batter #1 went all over the kitchen. Yeah, that happened. So remember kitchen safety when baking with little ones! Spoon the mixture into the muffin pans to completely fill each muffin pan. The bigger, the better! Bake at 375°(F) for approximately 20 minutes. The muffins will pass the toothpick test when ready and will be dark brown in color. Allow them to cool slightly before serving. Oh, and note on serving – these are AMAZING with melted grass-fed butter or ghee slathered on them. Trust me. These make me want to end my disappointment with dairy free icing and come up with a DF cream ‘cheese’ frosting to complete the whole thing. Yay or nay? Pffft, who am I kidding. Of course that’s a good idea. I’ll work on it while you enjoy this version. 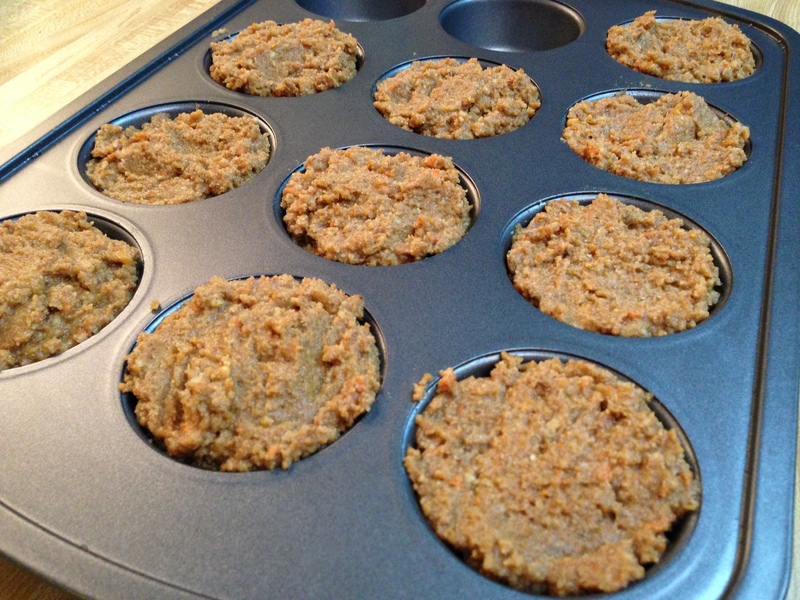 Mmmmm carrot muffins are my fav – these looks awesome! Mmmm i’ll have to try these! Maybe sans cashew flour though, and just use all coconut or almond meal or something instead; i don’t even know where to get that!